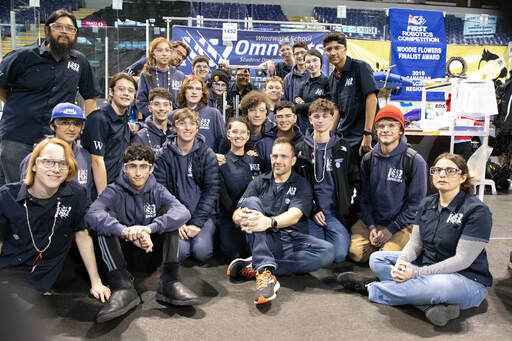 FIRST Team 1452: Omnicats was founded at Windward School in 2004. Our motto, "Student Designed, Student Built." truly​ reflects the way things work around here. As our motto states, our students completely design and build our robot. So far this year, at the Canadian Pacific Regional the team made it to quarterfinals and won the Gracious Professionalism Award, Pit Safety Award and were a runner-up for the Industrial Safety Award. In 2018, the team won the Safety Award at the Utah Regional FRC and the Los Angeles Regional FRC, as well as making it to semifinals with Nerd Herd and Spartatronics. In 2016, the team were finalists at the Los Angeles Regional FRC with teams 330: Beach Bots and 294: Beach Cities. In 2010, the team won the Los Angeles Regional FRC with Team 1717 the D'Penguineers and team 330 the Beach Bots. The team was awarded the Rookie Inspiration Award at the Los Angeles Regional FRC in 2004.